The new dorm is named after Ms. Blanche Wilkins Williams. The Minnesota State Academies are pleased to announce the name of our new dorm that is scheduled to open in the early spring of 2018. The MSA Board met today and voted to name the building Wilkins Hall, after Ms. Blanche Wilkins Williams. “Wilkins Hall” will house up to 41 students along with offices and educational/recreational spaces for students at the Minnesota State Academy for the Deaf. 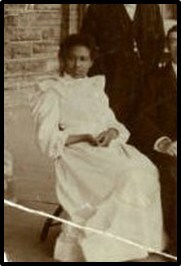 Ms. Wilkins was the first deaf black woman to graduate from the Minnesota School for the Deaf (Class of 1893). She attended MSD for 10 years and was a top student in her class. She was very intelligent and confident, but unfortunately, due to discriminatory practices at that time in history, she was not accepted into Gallaudet College because she was black. She went on to teach in schools for “colored” deaf children until schools began replacing deaf teachers with hearing teachers (based on the misconception that hearing teachers would be best able to teach language to deaf children). When the North Carolina (Raleigh) Institution established a department of technical sewing, dressmaking, fancy work, etc., Ms. Wilkins was the first teacher there. Records indicate that she may have also worked at the Texas School for Colored Deaf in Austin, Texas. After the death of her husband, Ms. Wilkins moved to the Chicago, Illinois area and lived there for most of her life, working and teaching young deaf black children and working in factories (beadwork, lampshade work, power machine sewing). She was also involved in missionary work along with her second husband. In “Unspeakable: the Story of Junius Wilson”, it was stated that Ms. Wilkins was a passionate Christian missionary and an outspoken advocate for her race and her deaf peers. Some considered her “the most accomplished deaf lady of her race in America”. Ms. Wilkins was involved in many advocacy and deaf leadership activities throughout her life and supported others in their endeavors for a better life. The MSA board and I wanted to share our appreciation to all of you who participated in this process with nominations, feedback, and suggestions. Special thanks go to Jody Olson, John Mathews, Mike Cashman, Alex Caddy, and Gary Meier who served on the committee to review all of the names and research background information.